Invasive plant species present new challenges with every growing season, and farmers / growers are directly impacted by events on adjacent spaces, roadsides, riverbanks, rights-of-way, and transition zones such as woodlines. 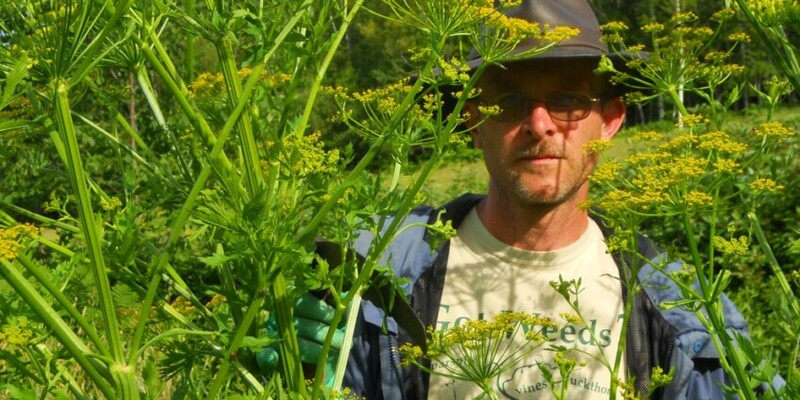 Critical to the management of non-native species such as Japanese knotweed and wild parsnip is cooperation among local farmers, growers, road crews, recreationists, landowners, and conservation commissions. Equally critical is some understanding of the nuances of control work: what to do, when to do it, where to focus, what to focus on, and what NOT to do. This presentation highlights three invasive plant species that impact much of Vermont’s landscape; that introduction will then move to site-specific examples of management methods. The workshop concludes with audience participation whereby aerial views and online mapping are used to assess sites, set priorities, and walk through treatment options.